In the 0-3 year-olds category, winners were Cowgirl Henley Fuller (second place); Postman Wes Hogg-Rose (first place); and, Dinosaur Aubree Johnson (third place). 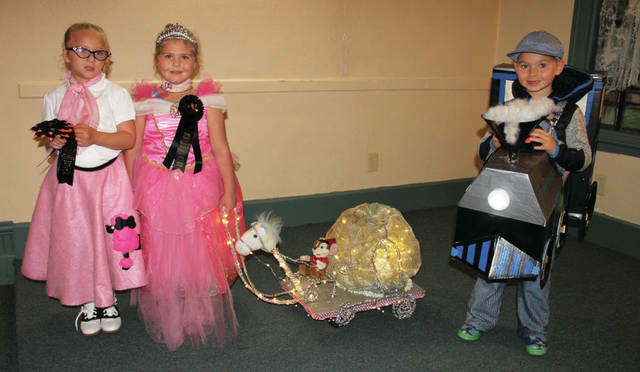 In the 4-5 year-olds category, winners were Poodle Skirt Girl Olivia Cumberledge (second place); Princess Starlynn Tucker (third place); and, Mr. Locomotive Logan Bussa (first place). 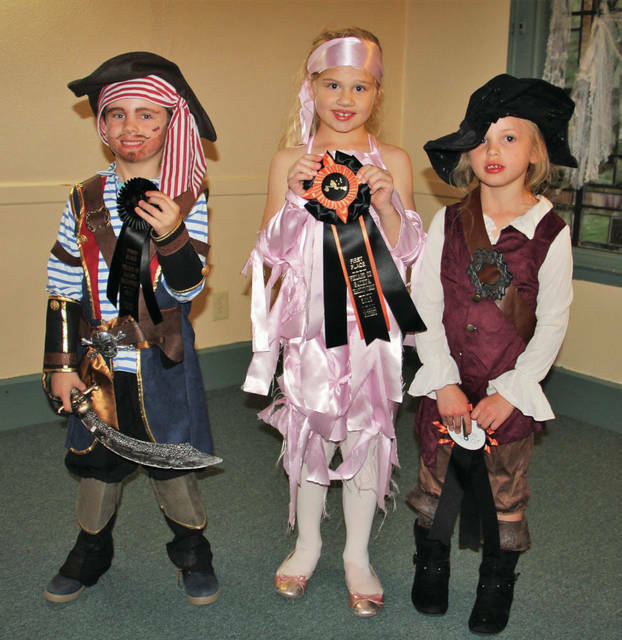 In the 6-7 year-olds category, winners were Pirate Finn Fuller (third place); Mummy Girl Cambrie Eifert (first place); and, Pirate Ella Doane (second place). 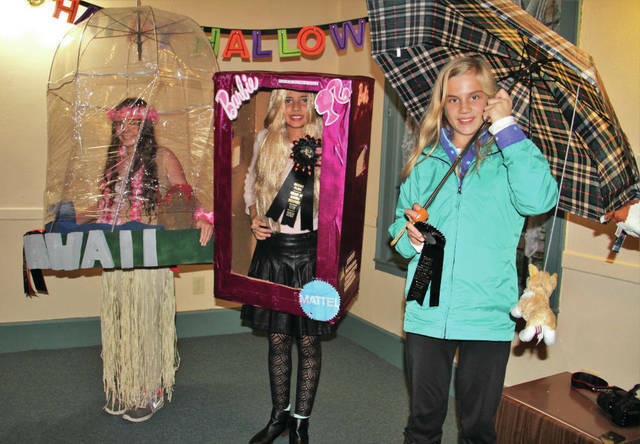 In the 8-11 year-olds category, winners were Destiny Osborne in a Hawaii snow globe (first place); Barbie Doll Hila Porter (second place); and, Tory Lea Eifert with a Raining Cats-and-Dogs theme (third place). 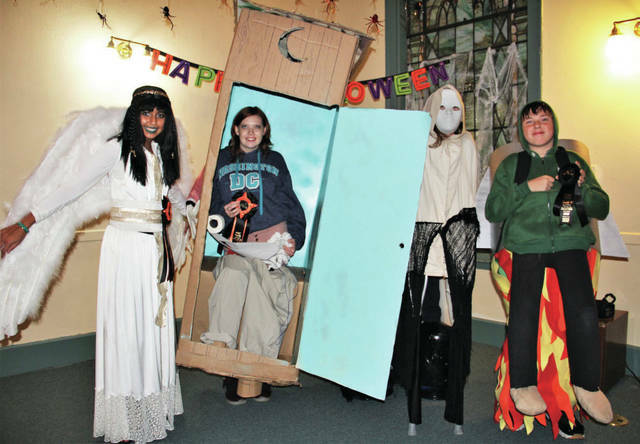 In the 12 year-olds and up category, winners were Egyptian Goddess Kiska Porter and Rachel Gayhart in the outhouse, who both received a first place; Mismatched Monster Sierra Teneyck (second place); and, Rocket Man Garrett Osborne (third place). 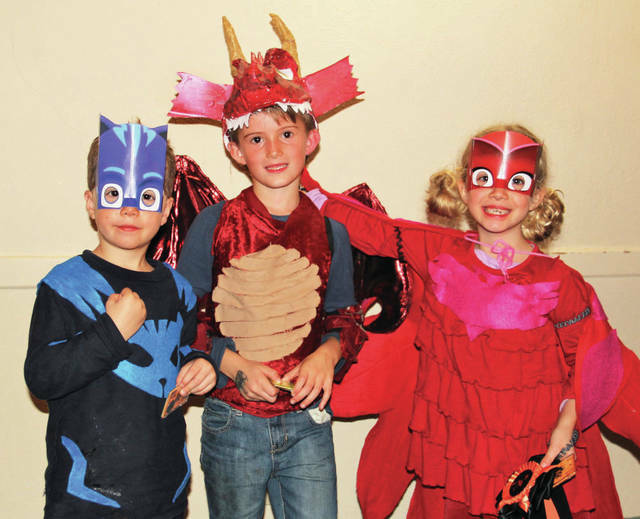 In the Groups category, first place went to Super Heroes Joshua Hartzler, Michael Steinmetz, and Kate Hartzler. 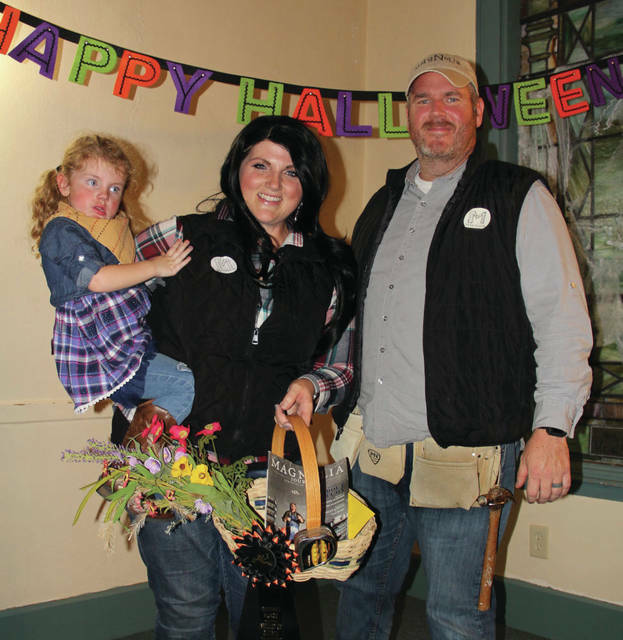 Second place went to Fred and Chrissy Fuller, with daughter Henley, who portrayed Home Fixer Uppers Chip and Joanna Gaines. 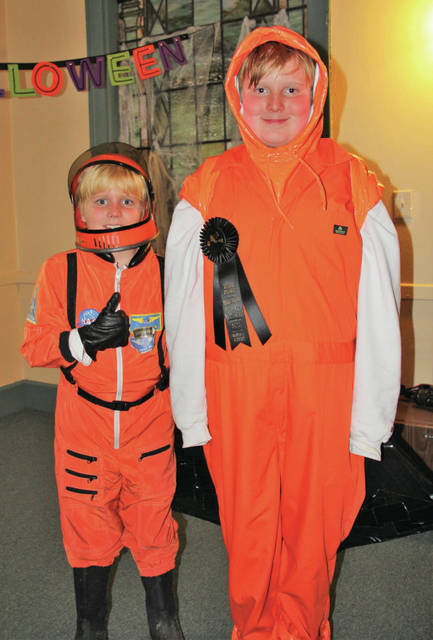 Astronauts Carson and Conner Wolfe earned third place. A huge thank you goes to Melinda Simmons, Mary Brooks, Dave Simmons, Mayor Thomas Hopper, Village staff and volunteers, and judges Bob and Julie Blackford, Pam Hamilton, and Dave and Melissa O’Neil. Galena’s Zoar Rebekkah Lodge members handed out candy. Thanks to Journey Fellowship for offering a great place to warm up and have a free dinner, listen to local Galena band The Coolers, make kids crafts, and take pictures. Information for this story was provided by the Village of Galena.